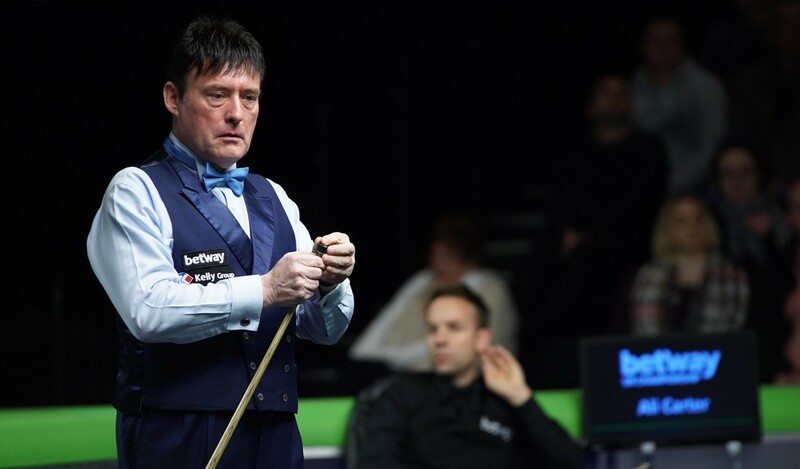 Snooker legend Jimmy White scored his best result in recent years by beating Ali Carter 6-2 in the first round of the Betway UK Championship. It’s 25 years since White won this tournament but the 55-year-old proved that he still has the game to compete with the top stars with a surprise win over world number 14 Carter. White dropped off the pro tour at the end of last season but was able to return with an invitational tour card. He has enjoyed some impressive results this term, reaching the last 32 of last week’s Northern Ireland Open, but nothing as significant as this victory over four-time ranking event winner Carter. From 2-1 down, White made a crucial yellow-to-black clearance to square the tie at the interval. The Londoner also took the next two frames on the colours to lead 4-2, then finished superbly with breaks of 128 and 61 in the last two frames. “Ali is a top player,” said ten-time ranking event winner White, who now faces Kurt Maflin on Saturday night. “The first few frames were scrappy but from 4-2 up I played well. If there’s one thing I still know, it’s how to win. I had a couple of good wins in Belfast last week which gave me some confidence. Ronnie O’Sullivan booked his place in the last 64 with a 6-3 win over Welsh 16-year-old Jackson Page. 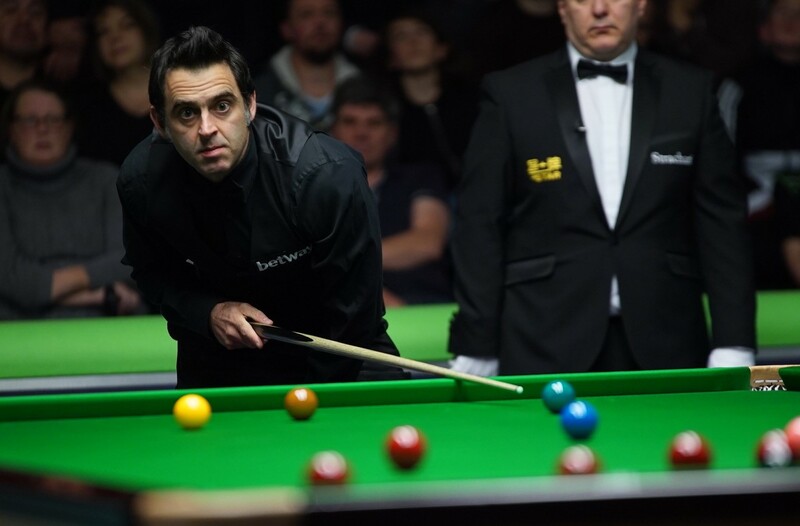 O’Sullivan is seeking his third ranking title of the season having landed the English Open and Shanghai Masters. The Rocket started strongly with breaks of 80 and 117 to go 2-0 up, but talented amateur Page did not buckle on the big stage and hit back to take the next two frames with a top run of 63. O’Sullivan won the next three for 5-2 before Page pulled one back with a 65. World number four O’Sullivan then sealed the result with a 105 in frame nine. He will now face Michael Georgiou on Sunday afternoon. Five-time UK Champion O’Sullivan had high praise for tonight’s opponent, saying: “He’s by far the best British player I’ve seen in his age group. He’s a raw talent and there are things he has to work on, like his positional play, but they are things which are easy to improve. He’s got a great temperament and he enjoys it out there. Some of his safety was fantastic. Northern Ireland Open champion Mark Williams kept his run of form going as he saw off Paul Davison 6-0 with a top run of 88. However the Welshman’s wife Joanne remains ill in hospital and he has yet to decide whether to withdraw from the tournament. 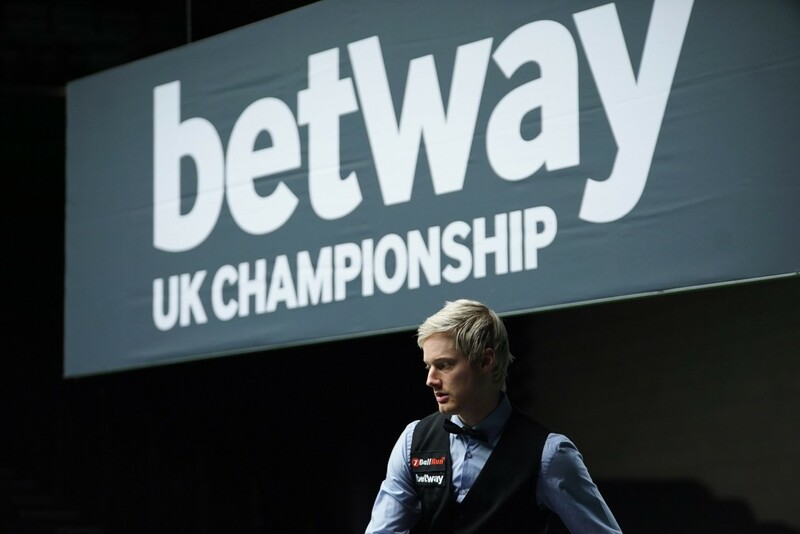 Neil Robertson was in fine form in a 6-1 win over Rod Lawler, firing breaks of 118, 126 and 101 in consecutive frames. The result keeps alive the Australian’s hopes of qualifying for the Masters – for the latest on that race click here. “I played really well and to make three centuries in a row in front of a good crowd was a nice feeling,” said two-time UK Champion Robertson. Michael Holt came from 5-3 down to edge out Niu Zhuang 6-5 while three-time UK finalist Ken Doherty saw off Gary Wilson 6-3. Liang Wenbo top scored with 130 in a 6-1 win over Sanderson Lam while Barry Hawkins beat Kurt Dunham 6-1 with a top break of 97. Matthew Stevens, UK Champion 14 years ago, lost 6-3 to Hammad Miah.